Here in Manitoba, exploring old buildings on the inside is still not an activity that I would relish, merely 40+ years later. 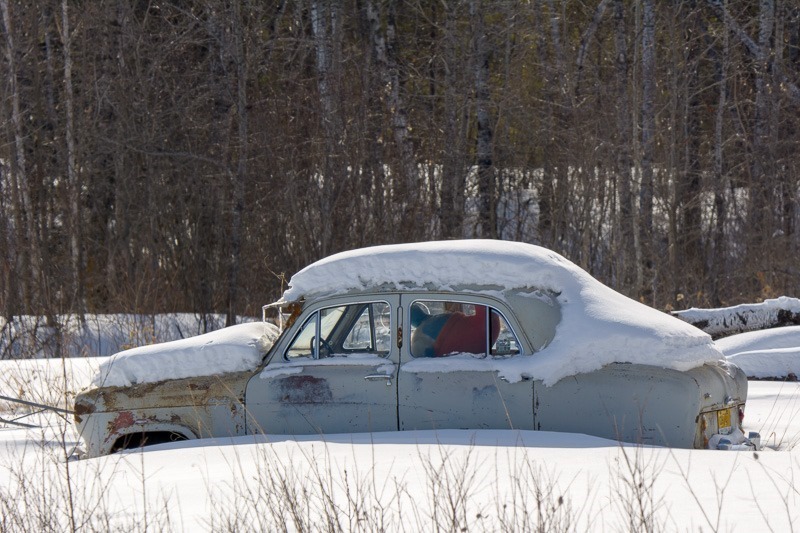 But one cannot ignore all the old barns and old cars that rest their rust in the gardens of old and sometimes not so old buildings. Take the lead post for example. The angle I could shoot this from was limited by everything around it. The Austin from 1955 simply refused to rust away into nothing. 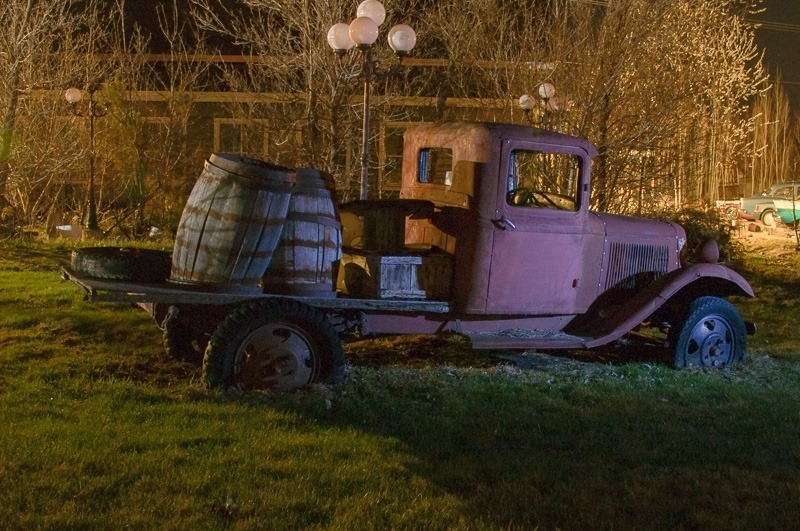 Sometimes you can find the cars and trucks of the past being used as yard ornaments. I visited this place with a friend; he had asked the owner for permission to shoot the vehicle in his yard. 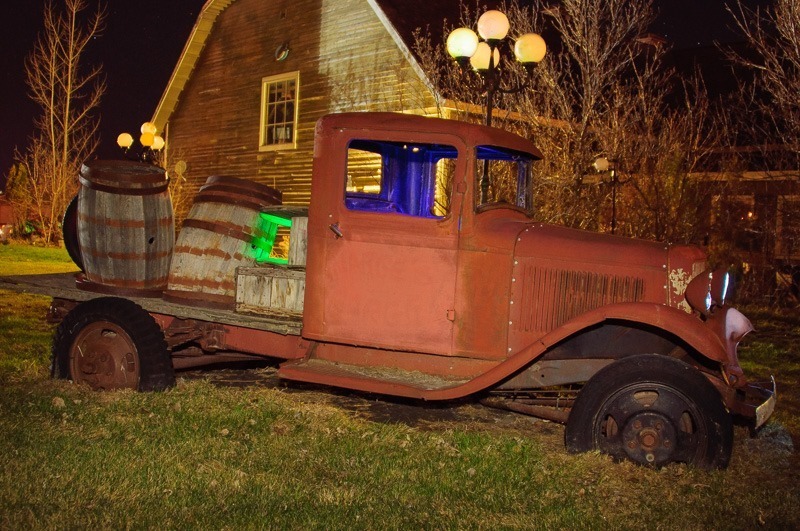 As it turned out, the man had a complete museum of old vehicles that he was all too happy to let us photograph. And when you do have the time and the darkness as a cover, light painting of those vehicles will then become very interesting. Tiny LED lights bought in a dollar store for a buck a handful can do magic. LED flashlights to light up the rest and you can have views on the vehicle like nobody ever has seen before. Just for information, the yard as well as the truck were completely dark. A faraway yard light lit up part of the house, but that was all. This car must have been a getaway car for some bank robbery back in the 1930s. Among photographers, it must also be a bit more famous as it is located north of Gimli. I have seen many a photographer stop there and shoot both the building, leaning precariously now, as well as this rusty carcass. 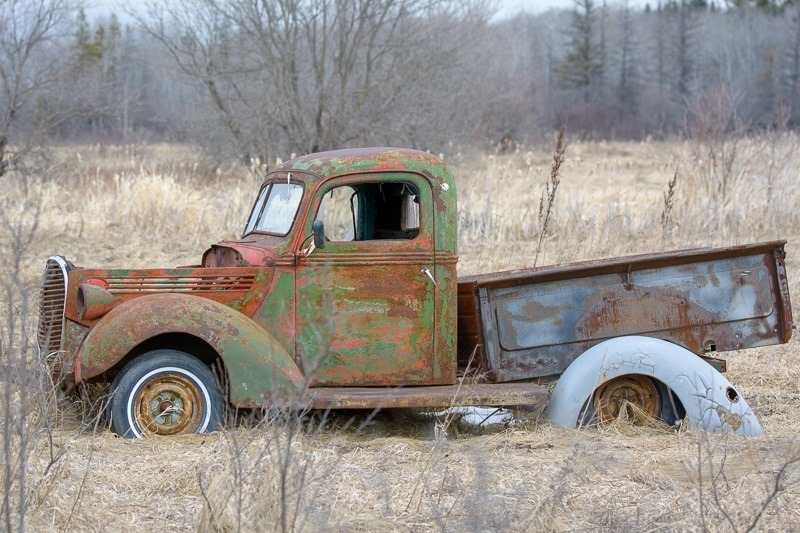 Sometimes you drive by and see trucks, just waiting there to be photographed. Most are on private property and prohibit me from choosing the angle I’d like to shoot them from. Finding the owner is not always a possibility either. I may not be one to uphold the law, but I do obey it. Whenever I can . 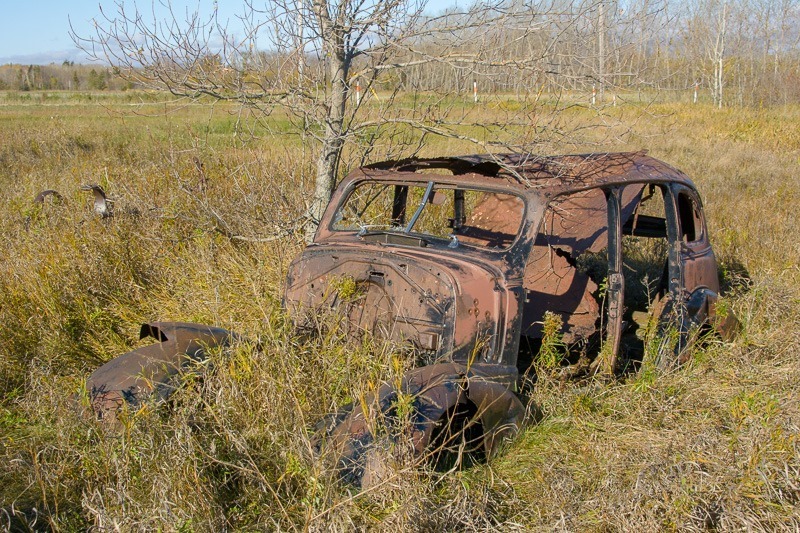 The above vehicle was located somewhere around Inwood, MB, I am not sure if I could find it ever again. My GPS had eaten all the batteries. And then you have the hidden treasures. 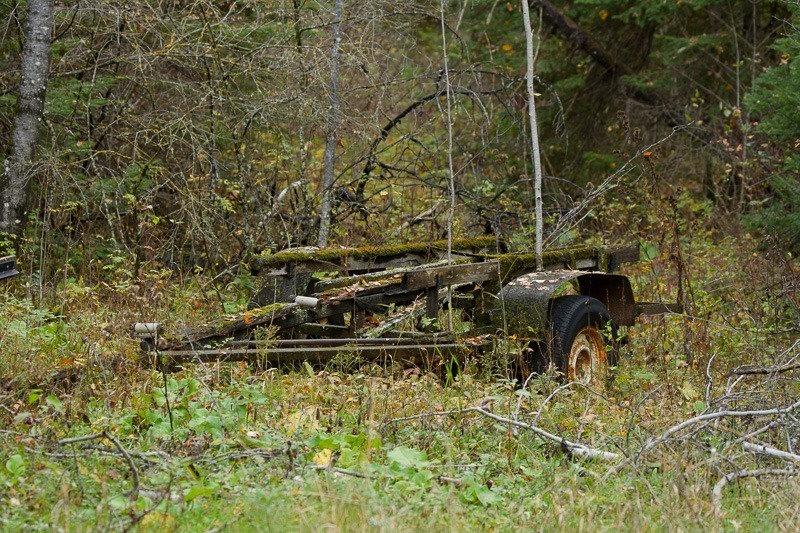 This trailer has been lovingly maintained in its current state by the owner of the land. He also has a campground we stayed on. The trailer was used to haul the boat that brought in his family years ago. Although I doubt a bit of that story, looking at the wheels. It can’t be that old. And then you have the industrial rust. 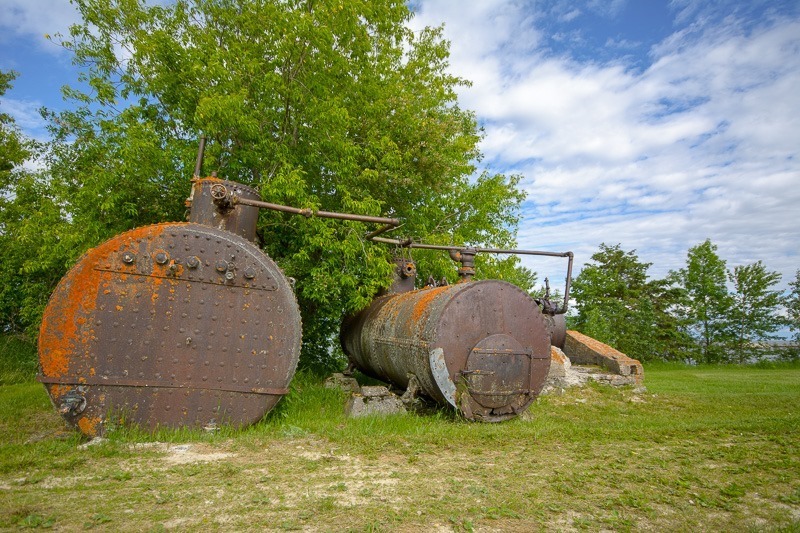 Hecla Island holds these boiler tanks, used in a sawmill. The sawmill was used to create the crates for the fish markets around the province. Fish, of course harvested from Lake Winnipeg by Hecla Island fishermen. 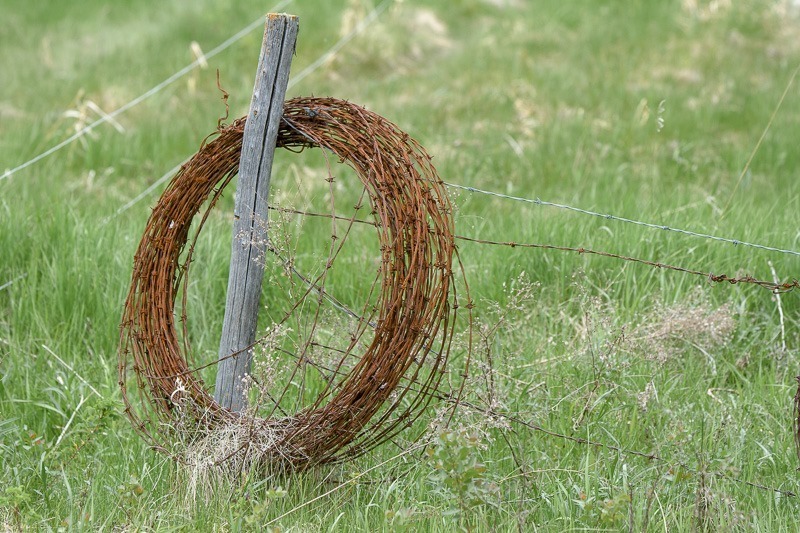 Rust has many forms and is one of the most common oxides on the planet. Iron being the most common metal, when combined with oxygen, before or after having used it for other purposes, it becomes rust. All for the photographers to present in a meaningful manner.